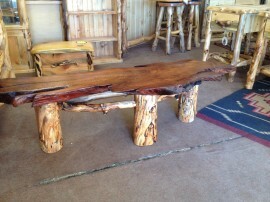 Aspen Log Furniture and Beetle Kill Pine Furniture! Our fantastic lodge furniture is built in our Denver workshop, using traditional methods that guarantees strength and durability for generations. 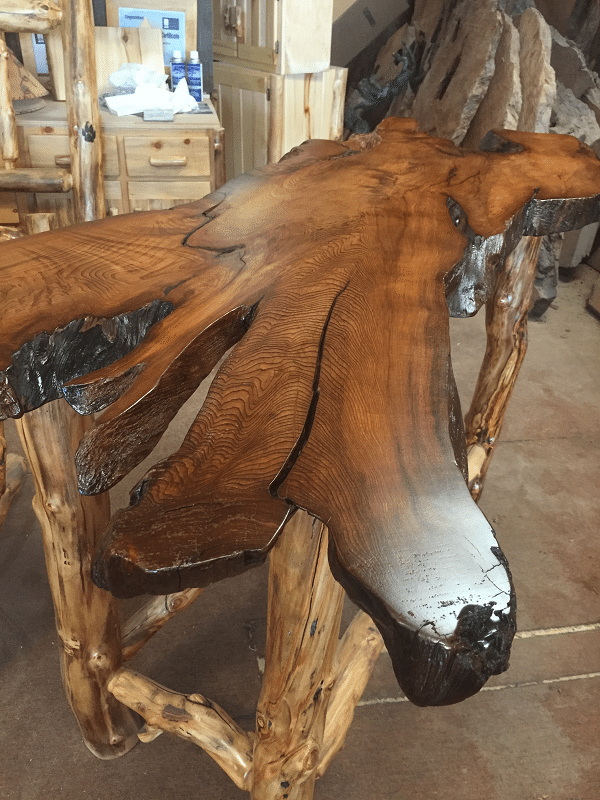 We craft our popular log beds, bunk beds, chairs, rocking chairs and tables with gorgeous aspen trees hand picked from Colorado's forests. 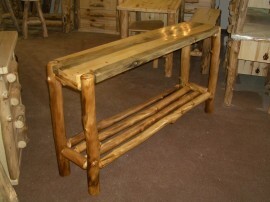 Our local beetle kill pine combines with aspen log trim to create some of the most striking furniture you will ever see! Furnish you home today! Thanks a million Jon. It was great working with you on all the projects and you did a great job!! The cabin looks fantastic! Wow! 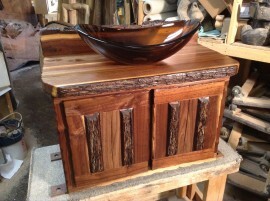 I knew your work was wonderful, but our pieces exceeded our expectations. Thank you for your attention to detail on our home project. 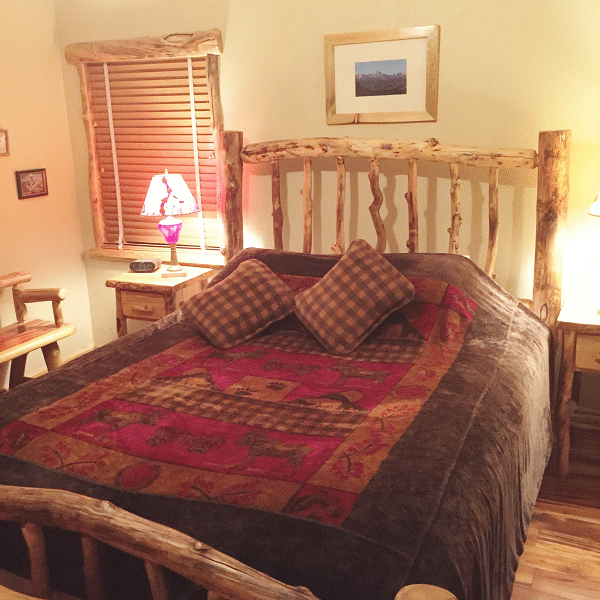 After an extensive search for a furniture builder to suit my needs for a multi-room home in Winter Park, Co I went with Medicine Wolf and was delighted with the result. Jon was so helpful and easy to work with. All the pieces are gorgeous and the quality of these guy's work is unsurpassed. 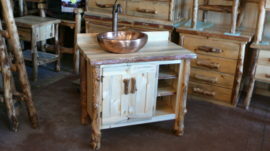 Best rustic furniture in the metro area! 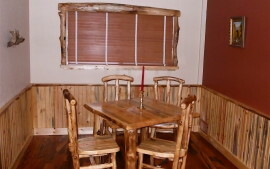 We had custom cabinets for our mountain cabin designed, crafted and installed by Jon and his guys from Medicine Wolf Log Furniture. Jon used beetle-kill blue pine and I could not be more pleased with the results! Jon worked with us to design exactly what we needed, including measuring our off-kilter walls and ceilings and gave us exactly what we needed and wanted for our cabin's kitchen and bathroom. Installation was an additional fee, but worth every penny, as Jon did a perfect job installing the beautiful cabinets. The showroom also has a large array of decorative items, smaller tables, benches, lamps and shelves and I've been in there a dozen times just to pick up the right touches. If you don't see it in the showroom, they're sure to be able to build it for you! 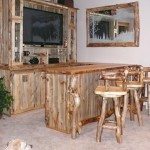 Kelly C., Highlands Ranch, Co.
We are Denver's oldest established aspen log and beetle kill pine furniture builder. 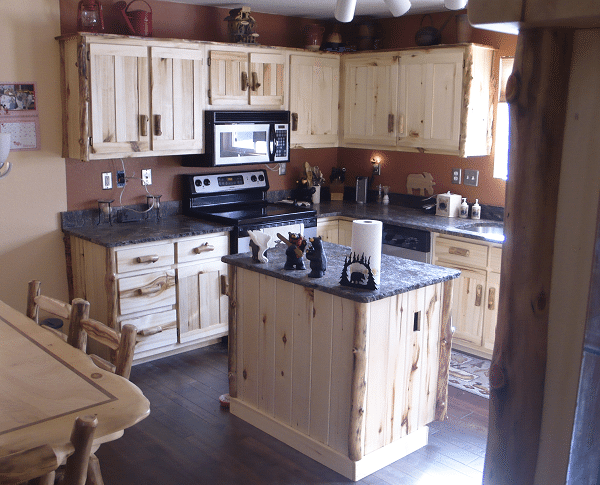 Located in the same Denver building we started in 16 years ago, our focus remains on producing the highest quality, most beautiful log furniture and cabinets possible. By searching top notch materials we are a step ahead when it comes time to craft your handmade piece. 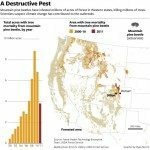 Aspen trees and beetle kill pine trees are cut standing dead from Colorado's forests, to ensure many more years of sustainable furniture production. 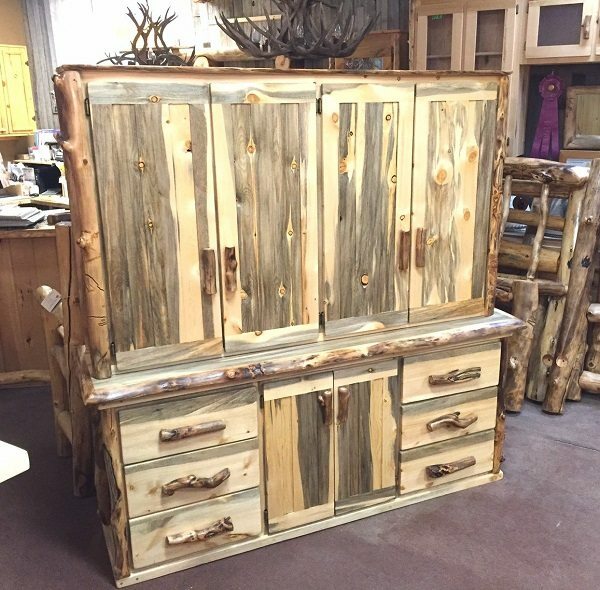 Our stocked showroom offers beautiful pieces made of aspen, beetle kill pine, sequoia redwood and other rustic woods ready to take home. This is a great place to start when in need of examples of where your custom project may lead you.